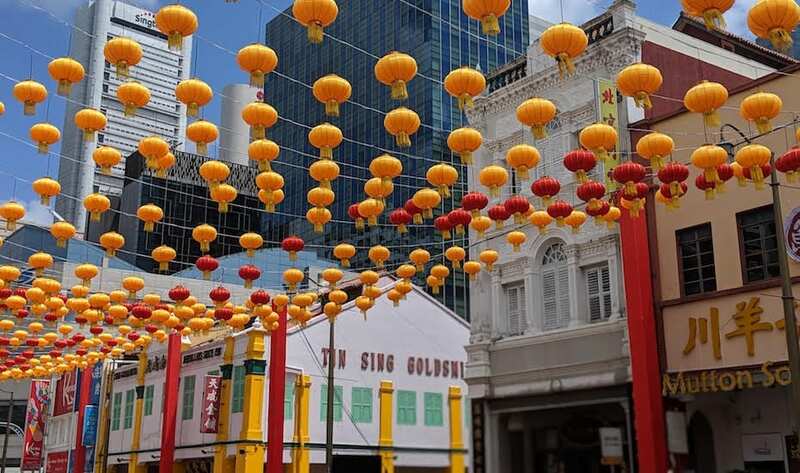 Whether you’re new to Singapore or curious about one of the city’s oldest and thriving neighbourhoods, you have to check out Chinatown. 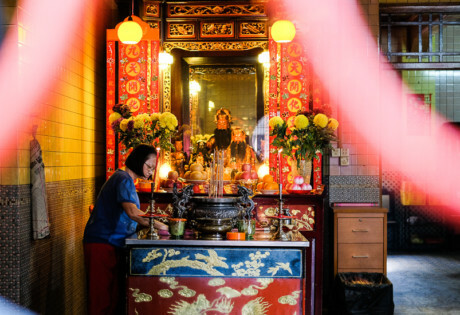 This kitschy tourist chic precinct is home to some of the most bustling (and our favourite) streets – from Ann Siang Hill and Club Street to Amoy Street, Duxton Hill and Keong Saik Road. Here’s our complete guide to Chinatown, with all the restaurants, bars, museums and spas you have to visit. It’s impossible to go hungry in Chinatown. We’ve been keeping track of all the finest restaurants in the area. 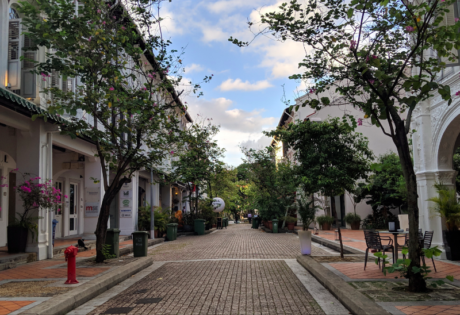 Check our guides to Ann Siang Hill and Club Street, Amoy Street, Duxton Hill and Keong Saik Road for more dining options. We just have to start with our favourite type of Chinese food: dim sum. We like ours traditional at Red Star Restaurant, dated décor and pushcarts included. Dim sum aside, the menu’s authentic Cantonese fare includes fried yam pots filled with scallops, prawn and cashew nuts and crispy thin suckling pig skin served with seasoned jelly thin strips. Taratata Bistrot dishes out one of the most succulent beef bourguignon and meanest French onion soup in Singapore. For you corporates on the fly, their Express Lunch is served within a speedy 40 minutes. 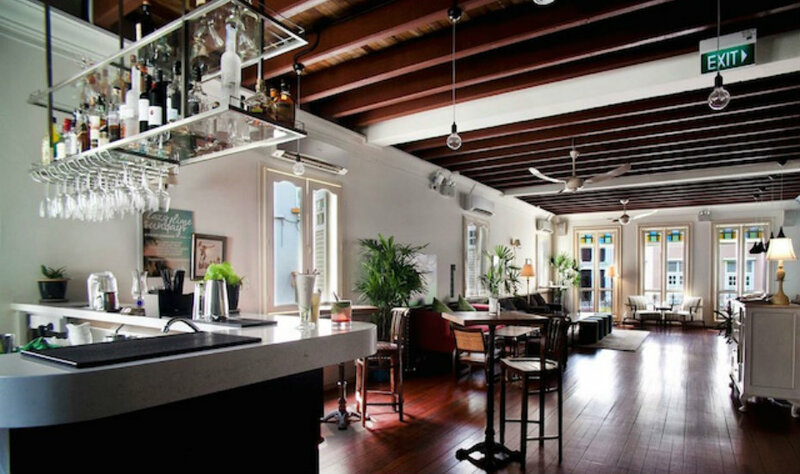 You’ll be surprised to find that even in Chinatown, you can get a taste of proper English pub grub and Sunday Roast at Oxwell & Co. Nestled in a three-storey heritage shophouse, this British-inspired gastropub was founded by three Englishmen yearning for a taste of home. Expect traditional Brit-styled dishes and some tasty tipples to boot. Burnt Ends specialises in grilled items (as you’d expect) and Chef Dave agonises over the menu daily, so only the best and tastiest is served. On top of their meats, try specials like oven-roasted fennel, the pulled pork burger on brioche, and ice-cream and ginger for dessert. For pork loving people, the suckling pig, with crisp skin (enough to feed two!) is a must-have. The Honeycombers team has more than a few happy memories of chowing down on awesome zi char (Chinese homestyle cuisine) at this nostalgic golden oldie. Porridge aficionados (and supper club members), Tiong Shian Porridge does excellent Cantonese-style congee and Chinese-styled fish carpaccio. People’s Park Food Centre is chock full of local food, but Koo Kee Yong Tow Foo Mee is our favourite (noodles with tofu stuffed with fish paste). This Michelin-starred resto whips up French cuisine with an Asian twist, helmed by Head Chef, Sun Kim, who’s earned his stripes in Waku Ghin and Tetsuya’s in Sydney. The highlights on this menu? Titillate those taste buds with a wagyu beef tartare served with pear kimchi, egg jelly and rice, or savour Hokkaido scallops with endive, miso and squid ink crackers. But for a real treat, try the slow-cooked grass-fed beef short rib topped off with parsnip and oyster mushroom. The cosy, industrial-chic Esquina delivers exquisite plates with epic flavours, like pardon peppers with ponzu dressing, crispy baby squid, fresh oysters, an utterly delightful sea urchin and crab bisque, as well as a divine coral trout with fennel, caper and anchovy dressing. Don’t leave without ordering a couple of their desserts, including the “BBC” ($15), which comes with bananas, beer-flavoured ice-cream and caramel sauce. Ah, the cure for hunger (no pun intended). Cure hosts a fine-dining experience without burning a hole in your pocket. 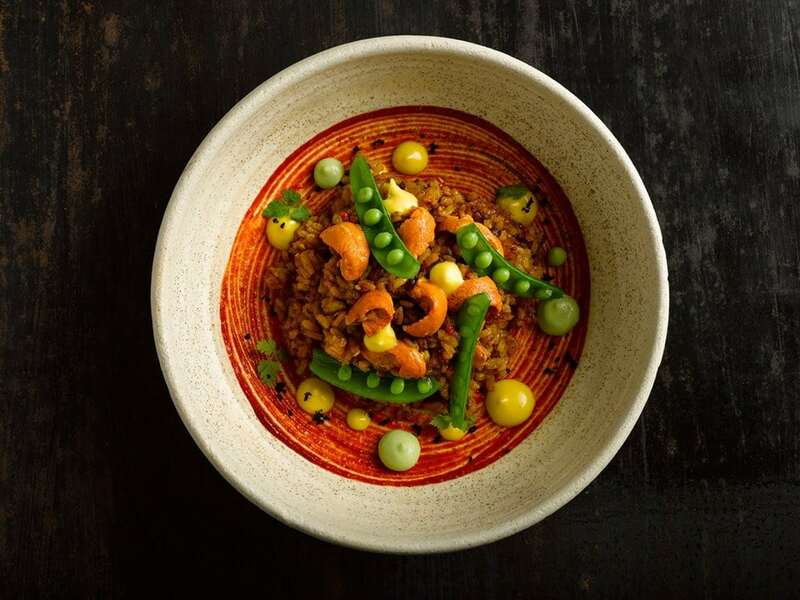 On top of its chef’s tasting menu (which differs each year), Cure also has an a la carte menu from Monday to Thursday that includes Beef Tartar, Marrow and Flatbread, as well as Snapper, Mussel and White Asparagus. Wine pairing is also available with the tasting menu. This Japanese dining spot may be izakaya-inspired, but it looks nothing like what you have in mind. Colourful pop culture posters, concrete floors and walls, exposed light bulbs, IZY’s one edgy resto. When it comes to its menu, expect a good mix of traditional eats and contemporary creations, such as the classic katsu don and the ocean trout carpaccio with ponzu sauce. After you’re done with the chow, ask the staff about Cache – a secret lounge bar tucked away in the back. Party promoters, Sunshine Nation (who’ve brought us kickass events like the Garden Beats Festival) rolls out a party for your palate with Don Ho Social Kitchen & Bar. Featuring an innovative fusion menu that blends Eastern and Western influences, expect novel menu items like sweet potato hummus with hazelnut dukkah, burnt onions and homemade focaccia, and an ash-cured ocean trout pastrami with English mustard cream and trout roe. We have to say, The maximalist tropical decor presses all of our buttons. Honeycombers even hosted a dinner popup here and we partied long after dessert! Where can you tuck into signature homegrown dishes in one spot? At Chinatown Food Street, that’s where. Tasty delights worth trying include chicken rice, char kway teow (stir fried rice noodles), and roti prata (South Indian flatbread). Wanna grab a meal at a hawker centre? You’ve come to the right place. In Chinatown, you can hawker centre-hop your way to delicious grub. 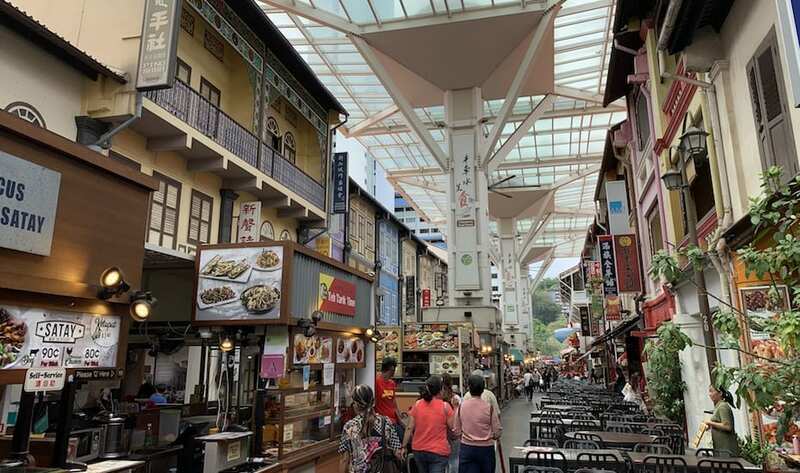 There’s Chinatown Complex food centre where you’ll find several Michelin Bib Gourmand award winning stalls and People’s Park Complex food centre across the street to get your mala hot pot fix. At Hong Lim food centre nearby, expect more Michelin Bib award-winning food and some young hawkerpreneurs. Plus, y’all know we love Amoy street food centre and Maxwell that are also in this cultural precinct. Pro tip: Want hawker centre-like delicious food and prices but with the comforts of aircon? People’s Park Centre, an old-school mall opposite Chinatown Point mall, has a small but fab food court. Wind down at some of the coolest pubs and bars this side of the island. Check our guides to Ann Siang Hill and Club Street, Amoy Street, Duxton Hill and Keong Saik Road for more. Need to pick up a nice bottle of red to wine and dine that special someone? Or maybe you want to kick back with a glass of bubbly and nibble on bar bites and cheese platters? This bottle shop/cafe concept offers a fantastic variety of wine, Champagne, and spirits for the most discerning of drinkers. The Club Street outlet boasts a larger menu and outdoor seating area for patrons who wanna soak in the sights and sounds of the buzzy Ann Siang district. Spend your Wednesday nights at Lime House – a Caribbean restaurant and bar that is totally sublime with its classic cocktails paired with delicious Caribbean meals. There’s no doubt that PTT Family’s venture in Singapore has taken Keong Saik by storm. Offering an awesome four-in-one dining concept, choose to dig into gourmet burgers at Three Buns (level one and two), lounge at reservation-only bar Studio 1939, or hit the rooftop garden and soak up the sights and sounds of Chinatown over a cocktail. Head down early or risk being put on a lengthy waiting list. In the mood for a craft brew but don’t want to skip out on fantastic hawker food? 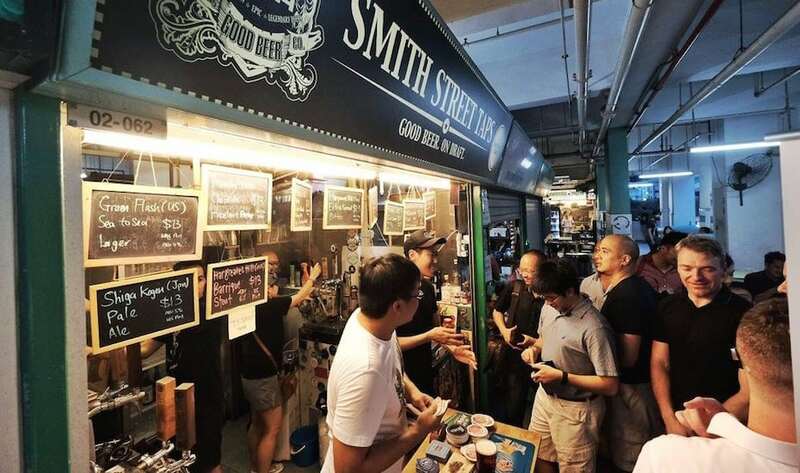 This hawker stall craft beer bar at Chinatown Complex offers an impressive number of draft beers – up to 12 at any one time. Here’s your chance to sample unique and uncommon brews, paired with char kway teow, hokkien mee, chicken rice, and more. Coffee lovers who’d rather more traditional coffee can grab a fortifying cup of kopi at Nanyang Old Coffee at South Bridge Road. Accompany your cup of kopi with some traditional sweets too. If you’re looking for another way to sweeten your day, Mei Heong Yuen has good traditional Chinese desserts and a range of shaved ice sweet treats to cool down. Rather a spot of tea? Get your Chinese tea leaves such as Jasmine, Puer, Oolong, Tie Guanyin and more from Pek Sin Choon, one of the most established tea merchants in Singapore. 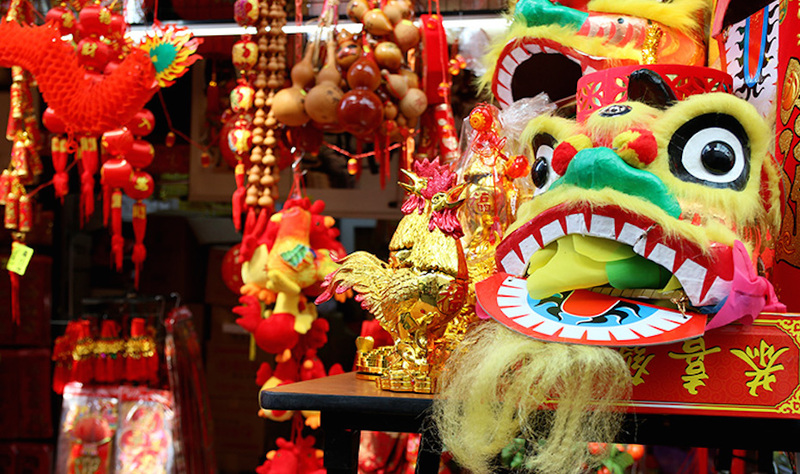 For old-school Chinese culture, it doesn’t get more authentic than Tong Heng. This bakery is best known for having the most exceptional traditional Chinese pastries and desserts in town, especially its signature egg tarts and mooncakes. 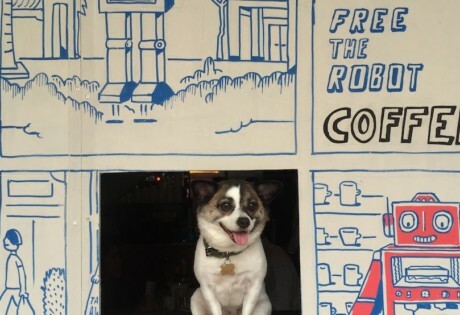 Everyone deserves good coffee, connoisseur or not – and Working Class Coffee is making sure we all have the right to this. Taking over 1KS by Park Bench Deli at the Working Capitol, this pop-up bar at Keong Saik also stocks baked goods from Woodlands Sourdough like blondies, brownies, an amazing chocolate prune cake, banana bread and assorted tea cakes. Blink and you might miss it! This mini cafe on Club Street is the perfect stop for the morning no-nonsense CBD crowd but that doesn’t mean that it has to look boring, does it? Bright blue walls with a tropical feel, get your coffee and croissant fix here or stay a while for avo toast and brownies. Word has it that an omakase menu is in the works! If the lack of outdoor space is keeping you from having a green thumb, indoor plants are the way to go. 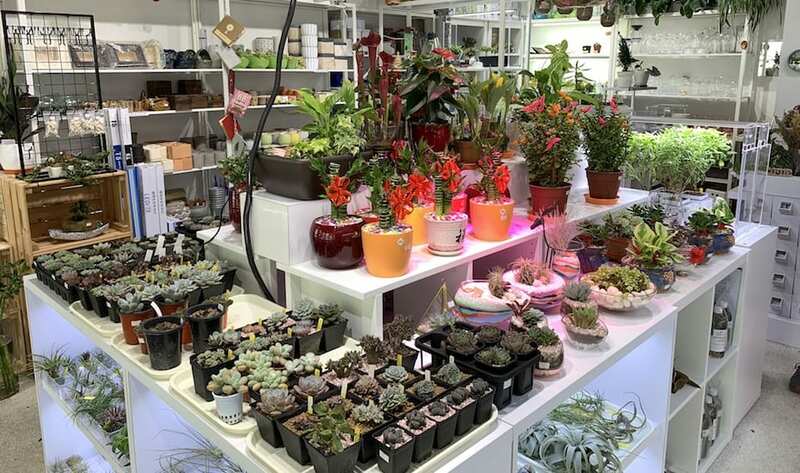 You can get started at Easi Grow, a cool plant shop that carries a range of indoor plants including succulents and air plants (which are less hard to kill). Have a chat with the friendly staff and get to know all about hydroponic, aeroponic and aquaponic systems. You’re sure to leave the place with a new pot of tiny succulents. Super cute! You’ll forget the heat and charming chaos of Chinatown once you enter The Singing Bowl Gallery. Maybe it’s the collection of Tibetan singing bowls in the corner, the blast of cool aircon (trust us, it helps) or the healing crystals – you ’ll immediately enter zen-mode. These singing bowls make excellent tools for yoga and meditation if you’re into that sort of thing. 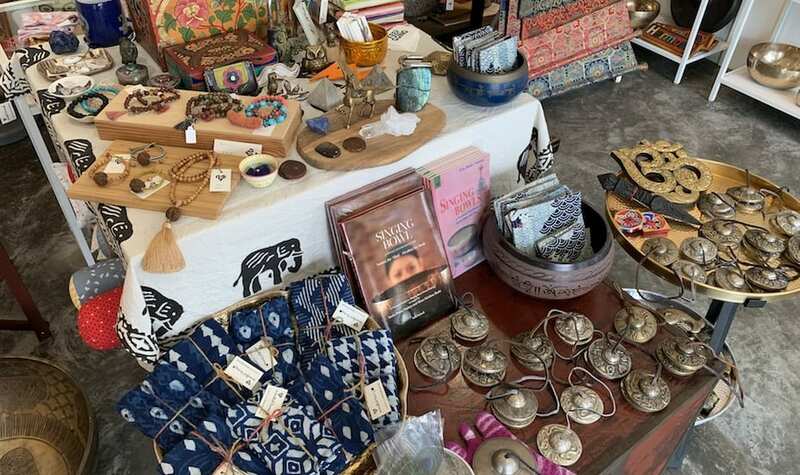 We also spotted some trinkets, jewellery, more crystals and tiger’s eye gemstones. Fans of this iconic series of books will squeal with joy at the amount of collectables and memorabilia found at this official merchandise store. You’ll find everything from figurines to stamps; tote bags to comic books. They also telecast episodes from the original series here. If you’re looking for textiles, buttons, costume jewellery and the like, check out People’s Park Complex (level 2) – this place has a variety of shops and is an absolute DIY heaven. Yes it’s full of touristy tat, but when you want a lion dance puppet for the kiddos, a giant paper lantern or good luck pineapple (or have a hankering for some fresh durian), this is where it’s at. Pagoda St Market is a spectacle after the sun sets and the lanterns switch on. We still love it. Pagoda and Temple Streets. Open daily. And of course, you can’t miss Yue Hwa Chinese Products on Eu Tong Sen Road; it’s your go-to emporium for all things Chinese – handicrafts, porcelain, furniture, herbs, and loads more. Lastly for the kitchen buffs, Sia Huat occupies three shop spaces along Temple Street, and supplies top-grade kitchen tools to restaurants and hotels. Everything from Cole and Mason to KitchenAid can be found here. 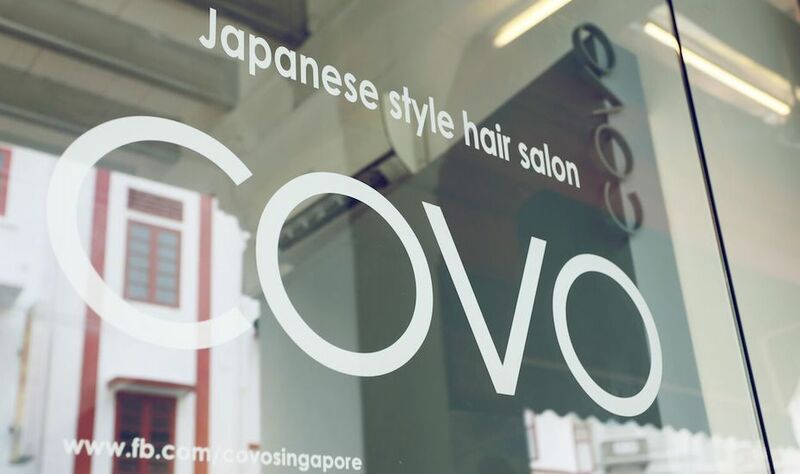 Helmed by experienced Japanese stylists, Covo on Keong Saik Road is our go-to salon for a fabulous pampering sesh for our tresses. The service, true to Japanese fashion, is impeccable, but what impresses us more is the stellar treatments. The cosy salon (‘Covo’ means ‘a hiding place’ in Italian – ’nuff said) offers a wide range of treatments – from haircuts and colour to digital perms and rebounding. Our tip? Go for the head spa treatment, where your hair will be washed with carbonated spring water to promote blood circulation and to add shine. Plus, it’s totally relaxing! We can’t think of an occasion in life where nails don’t matter, so get your digits done at the cozy Nail Alcove. We love the Organic Wild Thyme Foot Scrub and the whimsical nail art they came up with (on the spot) that was perfect with the rest of the ensemble! If a foot scrub ain’t enough, the trained foot reflexologists at Bath Culture Foot Therapy specialise in ancient kneading techniques that are used in combination with herbal remedies. Looking for some pampering down time with your partner? AFond Spa is the place to go for a couple spa, full-body massage, facials and waxing. When you’re done walking around the area, pop by this spa for a good massage. Bodylite offers a range of spa treatments including a 30-minute back and shoulder massage, as well as foot reflexology for those aching soles. Pamper yourself with an hour of Wellbeing Body Massage and feel rejuvenated after. This one’s for the boys. The legendary British barbershop – and the oldest in the world! – takes pampering to a whole new level with a slew of indulgent grooming services like hot shaves, haircuts, and shoe shine for modern gentlemen. 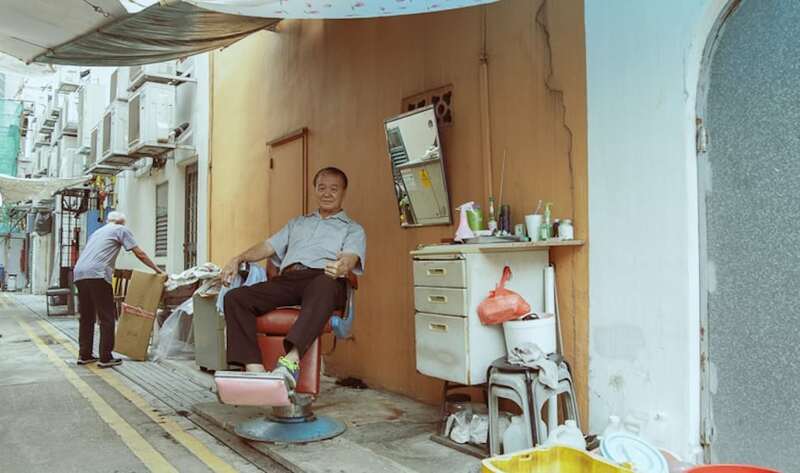 Speaking of barbers – Meet Mr. Lee, one of Singapore’s last streetside barbers. He’s been doing this for 55 years and his infectious smile and kind words will leave you with more than just a haircut. 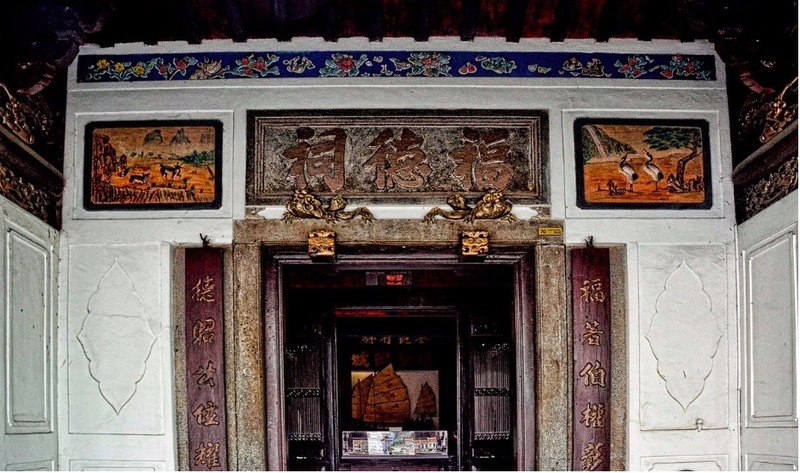 The oldest Chinese temple in Singapore, Fu Tak Chi Museum now displays over 200 artefacts donated by former residents of Chinatown. The building is one of the area’s finest examples of restored architecture. A hop away is the Chinatown Heritage Centre, filled with recreations from the late-19th century and early-20th century. 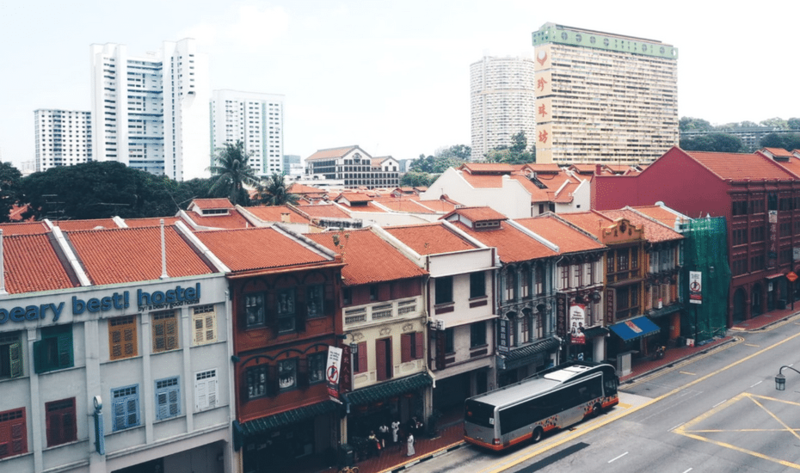 This authentic slice of Singapore history is all the more fascinating due to the presence of glinting skyscrapers just a few blocks away. They had us at ‘whimsical bookstore’ but add the carefully curated collection of female writers and beautifully designed covers and we’re sold. 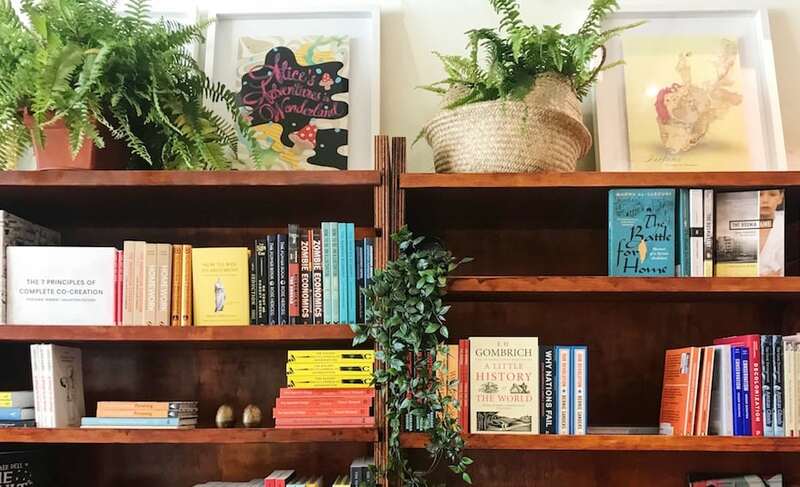 Located right in the heart of Chinatown, The Moon Bookstore and Cafe is the refuge us bookish types have been waiting for whenever things get a little crazy in the office. Don’t forget to check out the reading room on the second floor. Fair warning: you might lose yourselves in this light-filled, cushion-strewn nook. Chinatown has more than its fill of sleazy karaoke joints. Family-friendly and incredible value for money, 10 Dollar Club kinda sticks out like a sore thumb. But $10 for 3 hours to sing your heart out and free flow (non-boozy) drinks? We’re so there. Commissioned by The Working Capitol, Ripple Root turned boring white walls at Keong Saik Street into playful backdrops filled with their own take on floral motifs of the traditional Peranakan tiles located around the area. 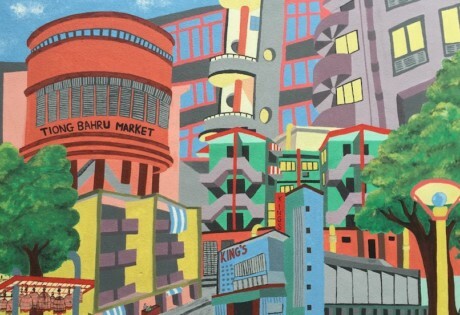 According to the duo, the project was “to inject lively fun into classical Keong Saik Street heritage.” And boy, did they manage to do just that! 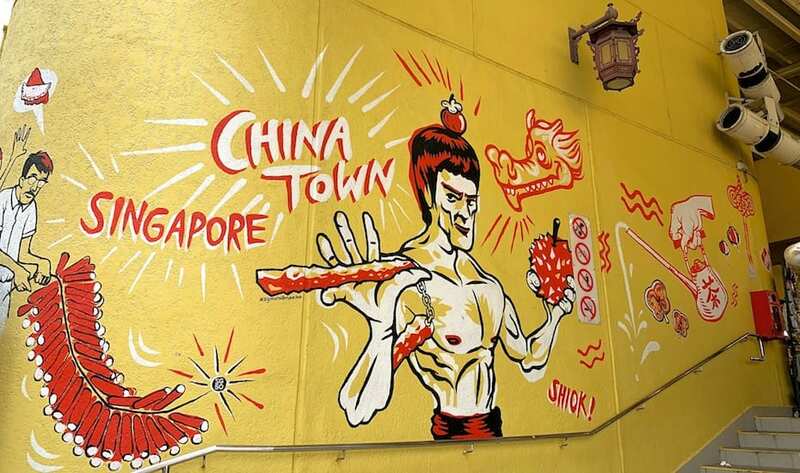 We’re also here for Yip Yew Chong’s beautiful murals that practically creates portals into Singapore’s culture-filled past. His 44m long Thian Hock Keng mural took him 10 weekends to complete between work and three overseas trips. OMG? For more wall art inspo, check out our Honeycombers Wall Crawl series. 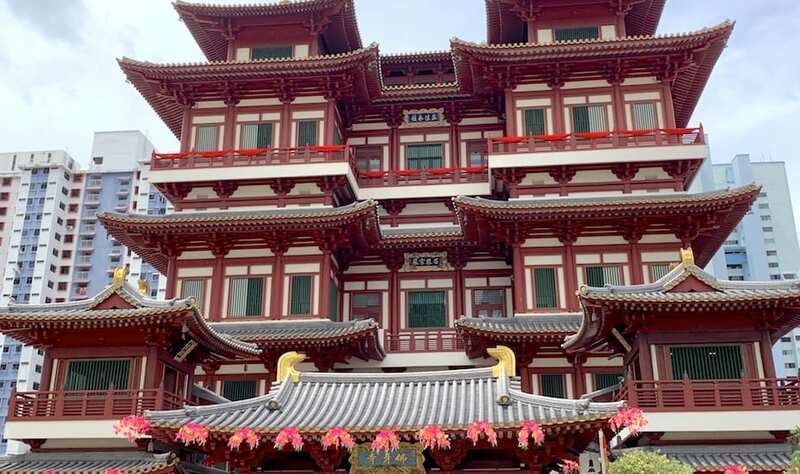 Behold the magnificent Buddha Tooth Relic Temple. Named after what’s believed to be the left canine tooth of Buddha, the temple is based on Tang dynasty architectural style. It holds many relics including the sacred Buddha tooth (which can be viewed from the viewing gallery on the fourth floor) and a giant stupa made with 320 kilograms of gold. Join the weekly guided tour to unearth more treasures, relics and secrets. 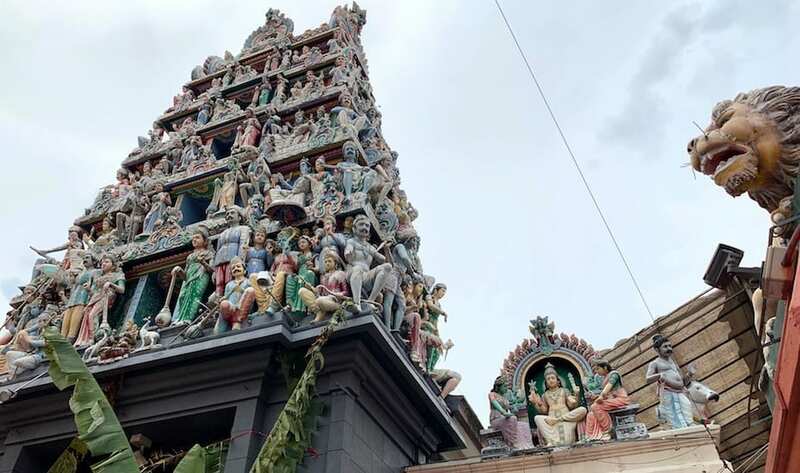 Singapore’s oldest Hindu temple, built in 1827, is one of the most iconic Hindu temples in Singapore. It’s dedicated to the goddess Mariamman, whose power is to cure illness and disease. Only in Singapore will you find a mosque, a Buddhist temple and a Hindu temple located just a few steps away from each other. 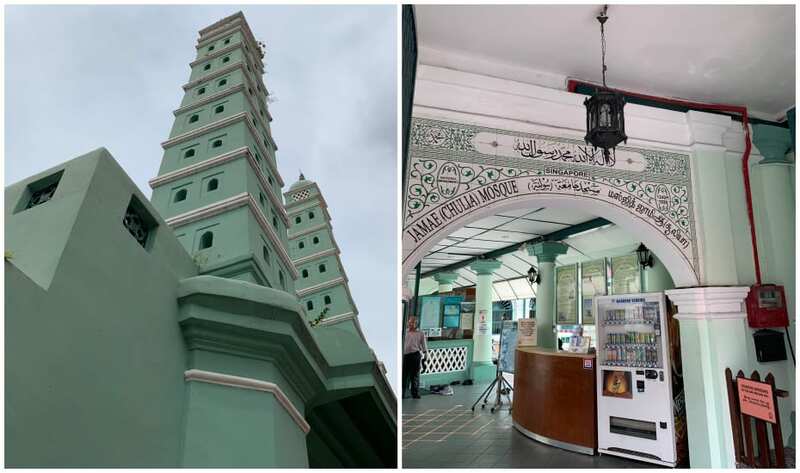 Sitting along South Bridge Road, Masjid Jamae is one of the oldest mosques in the city. The mosque stands out for its unique South Indian and neo-classical design. And that’s just one of the reasons why it was gazetted as a national monument. 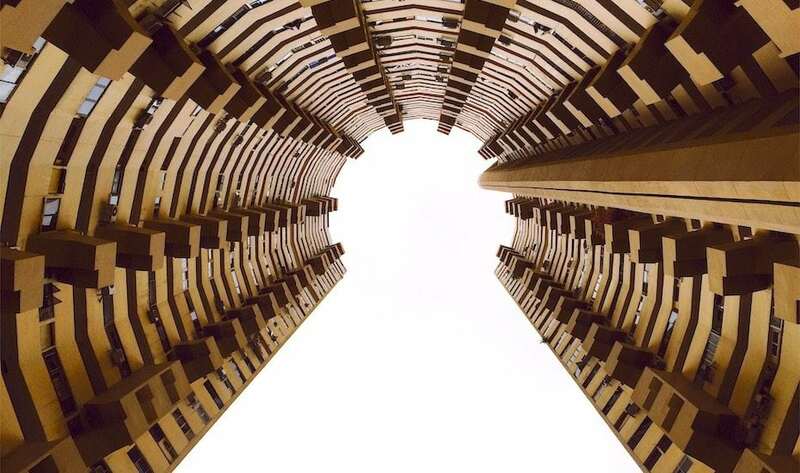 Some of Singapore’s most iconic architectural structures are in and around Chinatown. From the protected heritage shophouses to the soon-to-be demolished Pearl Bank Apartments. If you’re lucky enough to have access to the building (like we were), do take a stroll in the winding corridors of this building before it’s too late. Tip: To get a bird’s eye view of Chinatown, head to the viewing gallery ($6) on the 50th floor of The Pinnacle@Duxton – the site of one of the oldest HDBs in the country that was redeveloped in 2009. Double tip: Don’t have the time/inclination to head to The Pinnacle’s gallery, hop over to the fifth storey of the green-hued HDB complex on Upper Cross Street (above Hong Lim food centre) for a good enough (and free) view of the precinct. What to do in Little India?